INDIAN CAREER PORTAL: How to build-up your career from college days ??? How to build-up your career from college days ??? On one of the TEDx talks, Sir Ken Robinson, a leading educational reformist, made a significant remark about the “linearity” of the current educational system: “… it starts here; you go through a track, and if you do everything right, you will end up set for the rest of your life.” This linearity is the most likely reason that you are in the college and the stream you are in right now. Did you ever have a dream? Were you passionate about designing cars? Have you always dreamt of making a BIG social impact? When you were young, did you have amazing writing skills? You probably did. But, somehow, you landed up in an engineering college and your dreams have become a mere hobby, if not fully extinguished. Network: Professional networking during college is a critical aspect of learning that most students miss out on! Building the right professional contacts during college makes it easy to get internships, find mentors and get a job in the field you love. Events and conferences: Keep tabs on relevant events in your city and ensure you attend as many as possible. Apart from gaining new insights, events are the best place for you get to meet new people from diverse professions. Look out for TEDx events in your city. Chennai Open Coffee Club is a group where entrepreneurs and wannabe entrepreneurs meet every month. Check out conferencealerts.com/india.htm which post updates on events and conferences regularly. Participating in the right groups on Linkedin and following newspapers will ensure you don't miss important ones. Make sure you meet at least five new people at every event you attend. 2) Start a conversation with a smart question or a pre-prepared pitch. 3) Have a quick meaningful conversation. 4) Ask for their business card. 5) Be sure to follow up via e-mail. Guest lectures in colleges: You have scores of guest lecturers and industry experts addressing you in college. Ensure you connect with them once their talk is over. Take notes during the talk if required, but ensure you have some feedback and questions when you approach them. You've got to network like crazy! Make it a point to start a relationship with at least one new person every week and I don't mean dating! Internships: Internships are the best way for you to gain practical exposure. The best part: 65 per cent of companies offer you a full-time job based on your performance during your internship. It also adds immense value to your profile. The important thing is to use internships as an experimenting platform. So, don't restrict yourself to internships in just one field. Look to do at least four internships through your college. With many companies offering virtual internships (work from home), you can do internships even when your college is not on vacation! Consider doing at least one internship in a start-up, the learning is immense. Tap professional network: This is the best way. If you have built a good rapport with relevant professionals, check with them for possible internship opportunities. 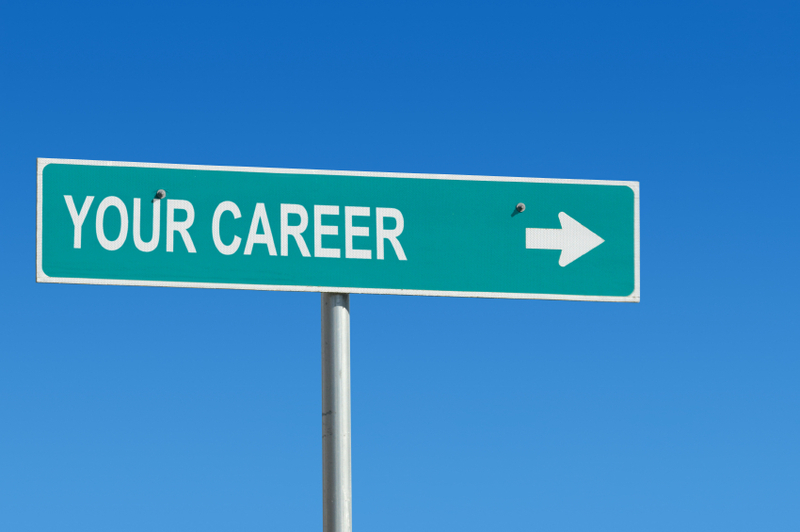 Career section: Many companies list internship openings in the careers section on their site. For instance, Amazon has interesting internships for developers; find market research internships at Frost and Sullivan based on your stream. Keep up with trends, build your knowledge: A curriculum can never keep up with the rate of change happening today. For an electronics engineering student, the best textbook may have information about the new technologies applied in iPhone 4, which it doesn't. Even if it did, it will be outdated. Keeping up with current trends and building your knowledge and skills around it will be extremely beneficial when you get out of college. Subscribe to experts' blogs and sites: Experts in different areas maintain regularly updated blogs, which are a great source of valuable insights. For example, if you are interested in marketing and business, subscribe to Seth Godin's blog and MarketingProfs' newsletter. Check out Mashable and Techcrunch if you're a tech and social media is your cup of tea! Linkedin Today: With this feature on linkedin.com, you get to read the most popular stories and articles from the leading news sources based on your interest. This is a fantastic tool to keep up with trends, build knowledge and gain perspective. You can subscribe for feeds based on the industry of your interest whether it is automobiles or fashion. You'll get the best stories from the most relevant and top-rated sources. Twitter: Twitter is like the ultimate university where you can get the best insights and knowledge on any subject.The best way to make use of twitter is by following the right people and lists. Science geeks should follow Andrew Maynard (@2020science), a scientist who tweets about all the good stuff on his blog ! Web Learning: Bored of listening to your professors? Access course lectures at IITs (nptel.iitm.ac.in) and international universities like MIT (www.ocwconsortium.org) for free. You can learn anything under the sun on the web. Codeacademy.com and W3Schools.com are great for learning how to code and for web development. Udemy.com and skillshare.com are platforms where anybody in the world can learn and teach. Blogs: Maintain your own professional blog where you write articles related to your career passion. Write about latest trends, comment on articles you have read, your ideas and insights... Ensure you bring in your perspective in atleast some part of every blog entry that you make. Volunteer: Volunteer for a cause that you believe in. NGOs are always on the lookout for reliable volunteers! Bottomline: The amount of time you spend learning outside of your curriculum is directly proportional to how awesome your career will be! Signing up to be part of industry associations and forums is a great way to understand recent developments; it also gives you the opportunity to network. Students eventually work in an organisation where skills such as leadership, planning and a certain amount of risk-taking are essential. The best way to acquire these is to venture beyond textbooks and take part in activities such as industry forums, sports, technical and cultural challenges or be a part of associations where you have the opportunity to manage projects. - ABHAY SINGH, Director HR, Applied Materials India.